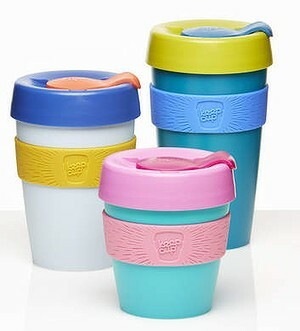 When Melbourne's KeepCup announced its six-ounce cup at Milan's Out of the Box in October, the company was immediately hit with requests for a 10-ounce cup too: a similarly "smaller" version of its large 12-ounce cup that would give latte drinkers a stronger "tall" (figure that out). The company responded on its blog with the plaintive: "We are trying to create fewer cups, not more …"
At 180ml, the 6oz is designed for evolved coffee palates, says KeepCup's founder Abigail Forsythe. Think of it as an artisan coffee cup, for magics, flat whites, long blacks and - gasp - takeaway filter brews. But does the KeepCup actually work? Since 2009, we have bought 3.5 million KeepCups, diverting 3.5 billion disposable cups from landfill, says Forsythe. She adds that many fans own as many as eight and quite a bit of KeepCup use is to carry coffee from the home espresso machine to commuter car cup holder. The disposable cup numbers are still large - 2.7 million a day in Australia, or nearly 1 billion a year, according to one estimate. Like all large numbers, they generate more large numbers: 1 billion a year in Australia is part of 500 billion manufactured world-wide (we punch above our weight there, too). Whether a paper cup can be recycled depends on the proportion of plastic to paper. Research by one of Planet Ark's associates found only 50 per cent of takeaway cups used in shopping centre cafes were suitable for even low-grade recycling. There are takeaway cups lined with plant-derived PLA plastic, which is biodegradable, though in landfill its decomposition is measured in decades, not days. Then there's the flavour effect of drinking through a lid, sippy cup-style: the reduced aroma input to your senses is one reason coffee tastes different in a takeaway. Also worth considering is the classic energy input analysis from 1994. Martin Hocking of the University of Victoria in Canada calculated a ceramic cup embodied 14 megajoules of energy, compared with 6.3 for reusable plastic, 5.5 for glass, 0.55 for paper and 0.2 for foam. This means a glass takes 15 uses to break even with paper on the energy budget, and a ceramic cup 39, including the dishwasher energy - doable. But a glass has to be used 393 times to break even with a foam cup, and a ceramic cup more than 1000. So the choice is probably about convenience as much as energy use. Do Australians waste $8 billion worth of edible food each year? Australians might love a good meal – but if you believe the claims of FoodWise, a national campaign run by not-for-profit group DoSomething, the amount we throw away is staggering. "Aussies throw out $8 billion worth of edible food every year," it says. OzHarvest, a charity which collects food from businesses which would otherwise be discarded, uses a similar figure. "Australians throw away food worth $7.8 billion a year," it says. Eight billion dollars is a lot of money. It's double the Federal Government's commitment to foreign aid this financial year. As Australia's largest food festival Good Food Month gets underway across the country, ABC Fact Check takes a look at whether the figure is accurate. · The claim: FoodWise says Australians throw out $8 billion worth of edible food every year. · The verdict: Based on the available research, the claim stacks up. But the $8 billion only relates to household food waste. 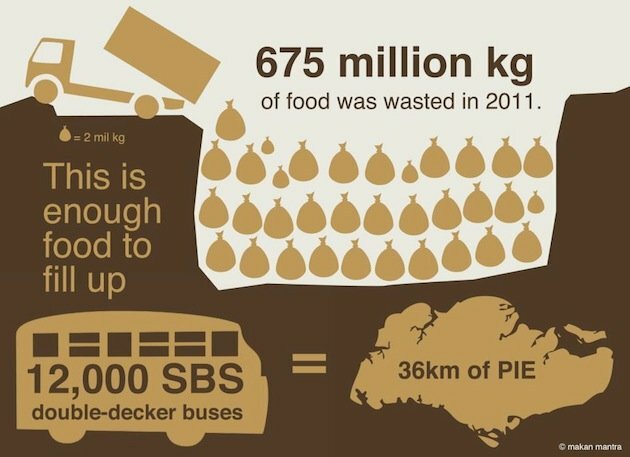 The total value of food waste in Australia would far exceed this figure. FoodWise has used a food waste avoidance studyby the NSW Government to reach its figure. OzHarvest sources its figure from FoodWise. The NSW Government study was conducted in 2009 in the form of an online survey. It was completed by 1,200 NSW residents aged 16 and older. It found that NSW households on average throw away $1,036 worth of edible food each year. The study found people aged 18 to 24 and households with incomes over $100,000 throw away the most food. The two main reasons for the waste were food being left in the fridge or freezer too long and people not finishing their meals. FoodWise took the $1,036 figure and multiplied it by the number of households across Australia - 7,760,320 according to the Australian Bureau of Statistics - to reach $8 billion. Sustainability Victoria, a statutory authority with a board appointed by state environment minister, conducted a food waste avoidance study in 2010 which surveyed more than 1,200 households across the state. The study found households in Victoria estimate they spend more than $2,000 a year on food that is wasted - almost double the NSW figure of $1,036. The study found 18 to 24 year olds and households with incomes of more than $130,000 a year are the state's biggest wasters. A policy brief by think tank The Australia Institute, published in 2009, concluded that "Australians are throwing away food worth $5.2 billion a year". It conducted an online survey of 1,603 grocery buyers across Australia. It found NSW households throw out an estimated $643 worth of edible food each year, while households in Victoria throw out an estimated $560. It also found households with higher incomes were the biggest food wasters. ABC Fact Check asked the researchers why their annual household food waste values for NSW and Victoria were so much less than the estimates in the NSW Government and Sustainability Victoria food waste avoidance studies. Dr Richard Denniss, the institute's executive director, said the $5.2 billion figure in the study was a "conservative estimate" because it only asked people about specific types of food that they threw out. "It included major sources of waste, but did not capture all food waste," Dr Denniss said. Another method of measuring household food waste is bin auditing. In NSW, a 2007-08 audit of the greater Sydney region found food made up 40.3 per cent of bin waste. That was based on audits of 51 households. In Victoria, an audit of 600 randomly selected bins across metropolitan Melbourne was conducted in May 2008. It found food waste accounted for 41 per cent of the contents of those bins. And in South Australia, an audit of the city of Burnside looked at more than 200 bins from May to June 2013. In this study, food accounted for 42 per cent of waste bin materials. A National Food Waste Assessment was prepared by the University of Technology Sydney for the federal government in June 2011. In terms of household waste audit data, it found "there is a high level of variability in the methodology used in different states and territories, at different times". However, it noted that NSW and SA data is among the most reliable, as "methodologies for undertaking such audits have been in place for longer periods". FoodWise's claim - that Australians throw out $8 billion worth of edible food every year - uses the NSW figure - that NSW households throw away $1,036 worth of edible food each year - as the basis for its calculations. But the calculation assumes households in other states and territories waste the same amount of food as those in NSW. Christian Reynolds, from CQUniversity's Food Waste Project Team, says the calculation is safe because while waste habits vary from state to state, "NSW is the middle of the road in terms of household recycling practices". He cites figure 2.9 in the 2010 National Waste Report, prepared by the national Environment Protection and Heritage Council, which shows NSW sitting just below the national average in terms of waste generated by households and councils. To further test whether the NSW figure can safely be used as the basis for a national one, Fact Check looked into where NSW sits in terms of its percentage of young people and rich people compared to the rest of Australia. Age and income were chosen, as the above studies highlight them to be key drivers of household food waste. Australian Bureau of Statistics figures on Household Income and Income Distribution for 2011-12 show Tasmania, South Australia and Victoria have disposable household incomes below the national average. The ACT, WA and the NT have the highest average incomes. NSW recorded an average household weekly income only 2 per cent above the national average, which the ABS says is "not a statistically significant difference". In terms of young people, ABS figures from June 2010 show NSW to have slightly fewer 18 to 24 year olds (as a percentage of the state's total population) than the national average. Food thrown away by households makes up only a portion of Australia's total food waste. The National Food Waste Assessment identified several stages at which food waste occurs including pre-farm gate (agricultural production), farm gate to check out and check out to consumer. The latter category can be broken down again, into food waste by supermarkets, other commercial and industrial outlets and finally, consumers. Residential food waste falls into the consumer category. Based on the available research, the claim that Australians throw out $8 billion worth of edible food every year stacks up. 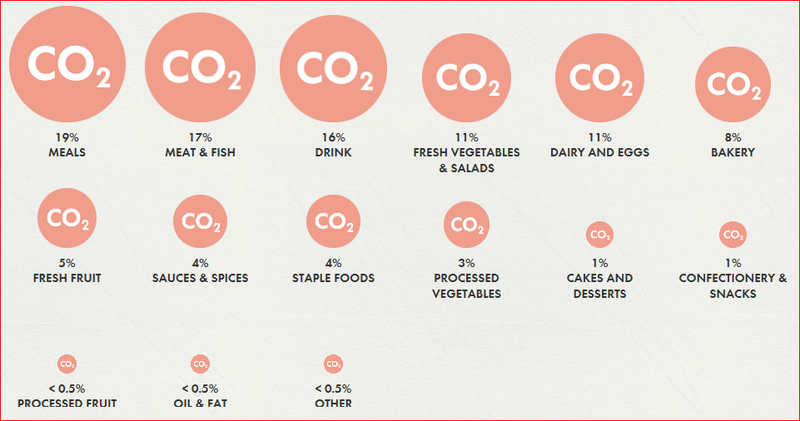 But this figure only relates to household food waste. The total value of food waste in Australia, including commercial waste from restaurants and supermarkets, would far exceed this figure. A British website - lovefoodhatewaste.com - has additional info, including a food waste app. Wednesday, 5 June 2013 marked World Environment Day and the theme of this year’s celebration was Think.Eat.Save, an anti-food waste and food loss campaign aimed at encouraging all of us to reduce our foodprint. According to Foodwise, a staggering 4 million tonnes of food ($8 billion of edible food) gets thrown out each year in Australia. This equates to around 345kg per household; a total of 34,000 tonnes of food waste if we extrapolate this to the homes of all the people employed in the Australian legal sector. Whilst the majority of people only associate food wastage with purely a financial cost, the sad truth is there is a significantly higher environmental cost involved. When we discard food, we are also wasting the water, energy and resources required to grow it and transport it to us. The discarded food ends up in landfills where it rots amongst other organic matter and creates and releases the greenhouse gas methane. What most people do not know is that methane is 23 times more harmful than the CO2 pollution from your car exhaust. You might be thinking, what does this have to do with the price of peanuts? But the scary truth is that if we do not mend our wasteful ways, our children will grow up seeing a very different Australia to the one we know and love. We should each take pride in saving our planet, be wiser with food and try to eradicate food wastage both at work and at home. Have a meal plan and write down a shopping list of what you need before you go shopping. Remember to take into account what you have in the fridge, freezer and pantry. If your fruit is starting to look overripe, why not freeze it – frozen bananas make great smoothies and frozen raspberries are a great little snack when you need a sugar kick. If you are cutting carrot tops etc. off your vegetables, why not freeze them and use them to make stock? If your vegetables and perishable foods are looking like they have seen better days, why not turn them into pasta sauces, curries, baked goods and other meals you can freeze. Freeze bread that you do not think you are going to use and toast it, rather than throwing it out. Leftovers are the new recycling! Use leftovers to make new meals. Buy local, this saves on the carbon footprint of the food you consume. As George Bernard Shaw once said “there is no love sincerer than the love of food.” He was right; let’s love food and hate waste!